The fear of the dentist is often rooted in negative experiences during childhood. Virtue Dental Care wants to prevent this crippling fear from developing, so you and your littlest family members will keep coming back for the ongoing care necessary for good oral and overall health. One of the ways Virtue Dental Care ensures you and your child have the best experience possible is with sedation. Thanks to advances in sedation, Dr. William Virtue and his team can safely administer pediatric sedation to patients in Yadkinville NC and the surrounding areas. These patients might otherwise be too anxious for Dr. Virtue to treat. In combination with Dr. Virtue’s focus on minimally invasive procedures (such as fillings and inlays and onlays versus crowns), oral conscious sedation allows your child or teen to feel completely at ease. Since concerns associated with the loss of control while under sedation are a primary source of patients’ dental fears, parents and children alike can rest easier knowing these calming medications allow the patient to remain awake and respond to questions from Dr. Virtue and dental hygienists. 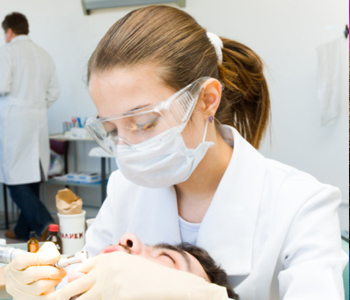 Oral conscious sedation requires a pre-sedation evaluation. These fast-acting drugs leave your child’s body quickly. Dr. Virtue will provide instructions on when the medication should be given prior to treatment. During treatment, Virtue Dental Care staff will continuously check your child’s vital signs. After treatment, your child will have little to no memory of the procedure. While oral conscious sedation is very safe for children, your child may have a pleasant experience with another sedative approach: nitrous oxide. Better known as laughing gas, this is what comes to mind when many people think of calming drugs used during dental procedures. The sedative agent, when mixed with oxygen, is delivered to your child via a mask comfortably and securely fitted over the nose. As with oral conscious sedation, the patient will still be able to respond to requests and outside stimuli, without having a care in the world about the treatment.